Welcome to the University of Wisconsin-Parkside! Parkside is a student-centered university offering undergraduate, graduate, and associate degree programs. Be a part of celebrating 50 years and embark on a future of continued success. Our story is our students' story. Choosing a college is all about the fit – with the people, place, and programs. At Parkside, you’ll find challenging academics, a diverse student body, a beautiful location, a variety of activities, a mix of online and in-person classes, and faculty and staff who want to help you succeed. Find out why Parkside is where you belong! Whether you’re coming to campus knowing what you’d like to study or you’re undecided, we’ll help you find the academic area that best suits you. And, once you find your fit, the knowledge and skills you develop will lead to career success and satisfaction. ADD A LITTLE ADVENTURE to your education! At Parkside, you'll have plenty of opportunity to grow your professional skills, while you develop into your best you.  Not only does our campus offer natural beauty in a park-like setting near Lake Michigan, it’s also located in the epicenter of the mega region between two of the Midwest’s most exciting cities. Explore the amazing cultural, social, and educational opportunities these cities provide to enhance your overall college experience! 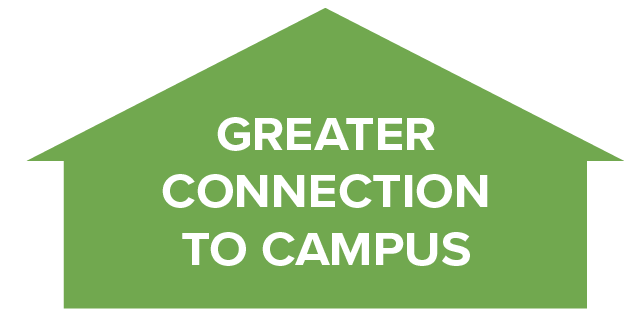 LIVING ON CAMPUS in residence halls, apartments, or suites puts you right in the heart of the Parkside community -- minutes away from every building and activity on campus. Plus, by living with other students, you’ll be ready to make positive connections, have friends readily available down the hall, and enjoy sharing community events. 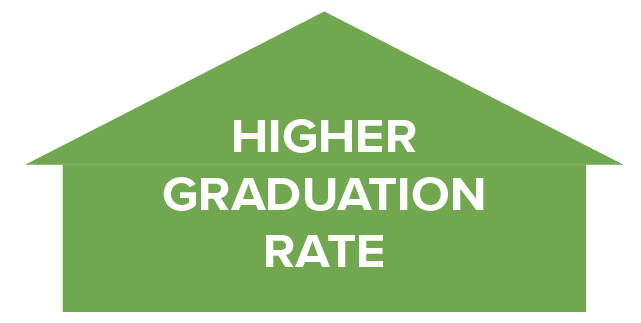 A GREAT INVESTMENT At Parkside, you’ll receive an excellent education at an affordable price – our tuition rates are the lowest in the UW system! 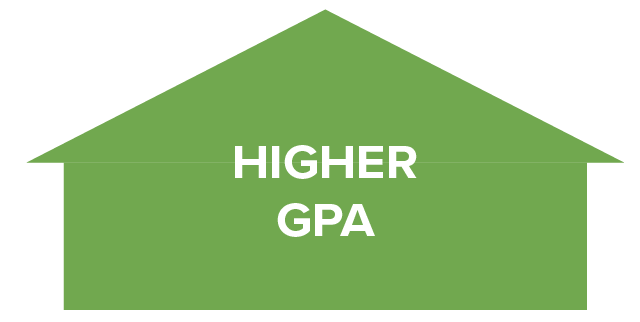 SCHOLARSHIPS We also offer a wide variety of scholarships and grants to help offset the cost of your education. Each year, we award deserving students more than $300,000 in scholarships. 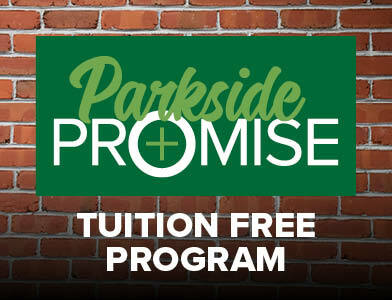 Take a look at what going to Parkside will cost you. LIFE BEYOND THE CLASSROOM at Parkside offers multiple ways to get involved, gain leadership skills, and make a positive difference. You’ll find over 70 student organizations and intramural and club sport teams. Add skills, new people, and a good dose of fun to your Parkside experience by getting involved. There are plenty of entertaining activities that take place right on campus, including theatre productions, concerts, speakers, movies, DJs, comedians, gallery openings, and so much more ― often for free or reduced prices, for our students. Let us entertain you! Words and pictures can’t fully explain the Parkside experience. To better understand what it means to be a Parkside student – and graduate – you need to see campus first hand! When you plan your visit, leave time to visit the art galleries, grab a snack in the Brickstone, or play a round on our beautiful disc golf course. Campus visits are available year round. Parkside recruits graduates! Gain valuable knowledge and experience as you become the best version of yourself, ready to take on the world. Get started today!